There is a large range of hotels in Luxembourg. Most of the larger international chain hotels are located in and around Luxembourg City, where most of the business guests tend to accumulate. Elsewhere the bulk of hotels are smaller and more country-style hotels, some of which have been run by the same families for several generations. They can be more personal and friendly and less formal than the chains, but the quality of facilities can also vary dramatically. Some are little more than large bed and breakfasts; others have fitness rooms, swimming pools and top-class restaurants. Almost all hotel rooms have private bathrooms; not all establishments have air conditioning. For most independently run hotels, breakfast is included in the room price. In the larger chain hotels, which are primarily aimed at a business clientele, breakfast often costs extra. Grading: There is the Hotelstars Union grading system from 1 to 5 stars. 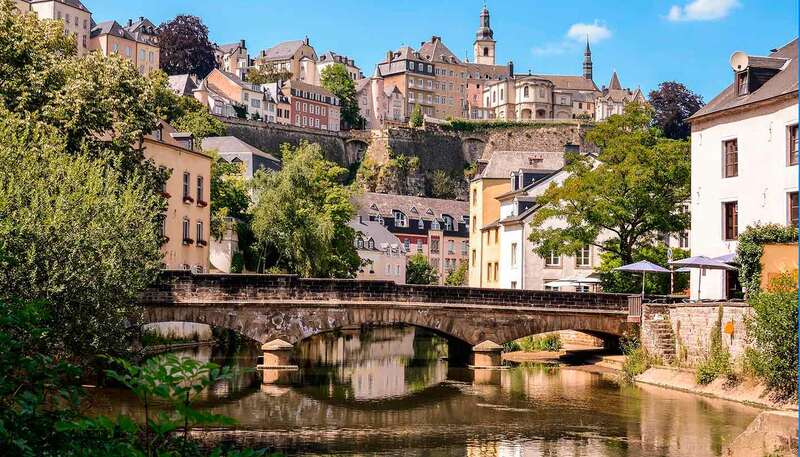 There are very few bed & breakfast establishments in Luxembourg, in the common understanding of the term, but there are large numbers of small family-run hotels offering similar services and a family-style personalised welcome. There are over 100 campsites throughout the country, mostly located in the northern Ardennes region of the country, which is very popular with tourists from neighbouring countries. According to government regulations, campsites are ranged in three different categories and the tariff in each camp is always shown at the entrance. Most offer a good range of facilities including shops with supplies and electrical hook-ups for caravans and mobile homes. Several large sites even have swimming pools and tennis courts for the use of guests. The National Tourist Office (www.ont.lu) publishes a free, comprehensive brochure listing all relevant information concerning campsites, including fees and facilities. There is an excellent chain of youth hostels located in Beaufort, Bourglinster, Echternach, Hollenfels, Larochette, Lultzhausen, Luxembourg City, Remerschen, Vianden and Wiltz. All are relatively new or have been renovated in recent years, some have private rooms as well as dormitory accommodation, and most offer facilities including restaurants and sports activities. Rates include bedding, but IYHA non-members pay a small supplement. A Youth Hostel Guide may be obtained free of charge from Luxembourg's National Tourist Office in London, or the Centrale des Auberges de Jeunesses Luxembourgeoises (www.youthhostel.lu). A number of holiday flats and chalets are available throughout the country. A free pamphlet giving location and facilities is published by the National Tourist Office.